It’s that time of year again, when the festive joys take over for a few weeks during December. At home, the heating is turned up, the mince pies come out, and the Christmas films and songs can be seen and heard in every room. One task at Christmas that splits a nation in two is putting up Christmas decorations and the jobs involved in doing so. The team at Citrus Mortgages have discussed how a mini spring clean and a furniture rearrangement is the norm before the decorations are carefully guided down from the loft or brought in from the garage. For some of us it’s a tradition as we involve family and friends to help but for others, it can also be a chore to get all the decorations out and make room for the many festive ornaments and objects collected over the years whilst manufacturing a smile. 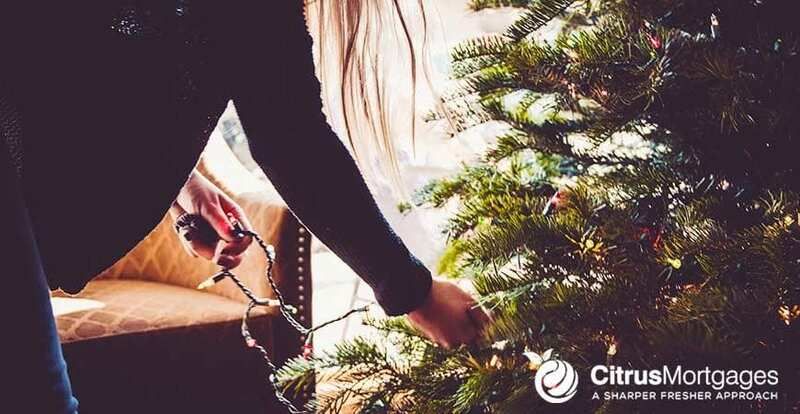 Whether you’re a lover of Christmas or a Scrooge, you can’t deny that safety should come first when those lights are being strung up around our homes and adorning our Christmas trees. With that in mind, we have utilised the help of UK Fire Service Resource to give you some tips and advice for making sure your festive decorating goes smoothly and is as safe as possible. Special fire safety precautions need to be taken when keeping a live (real) tree in the house. A burning tree can rapidly fill a room with fire and deadly gases. This can be demonstrated by viewing the following video. Furthermore, the best way to tackle a Christmas tree fire is by using a Water Mist Extinguisher which you can see by viewing the following video. Do not place your tree close to a heat source, including a fireplace or heat vent. The heat will dry out the tree, causing it to be more easily ignited by heat, flame or sparks. Be careful not to drop or flick cigarette ashes near a tree. Do not put your real tree up too early or leave it up for longer than two weeks. Keep the tree stand filled up with water at all times. Many people ask what the best method is of extinguishing a Christmas tree fire should they be unfortunate to experience one. The simple answer is that the UltraFire Water Mist extinguisher from Safelincs is the perfect option. Never put tree branches or needles in a fireplace or wood burning stove. When the tree becomes dry, discard it promptly. The best way to dispose of your tree is by taking it to a recycling centre or having it taken away by a community pickup service. For Milton Keynes residents, please contact Willen Hospice and they will collect and recycle your tree with your donations supporting Willen Hospice! Contact Willen Hospice here to book a collection in the New Year. It’s not just lights which we should be cautious about, many households use candles during Christmas which also bring their own dangers to your home. Here’s more advice from UK Fire Service Resources on using candles. Your home is beautiful at Christmas, let’s all make sure that we keep it that way and keep fire risks to a minimum.